New feature! Make a gift registry. Take a closer look at our quality. 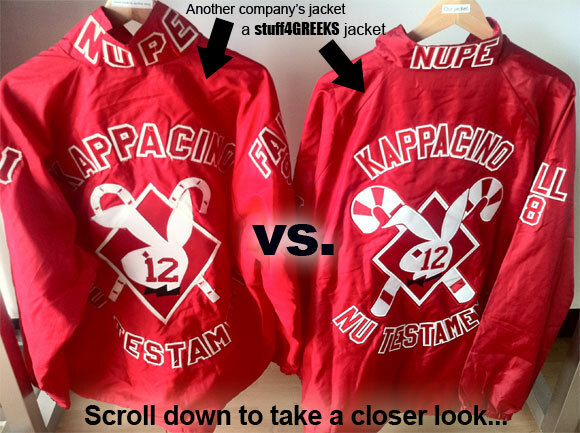 A customer ordered this line jacket from another Greek vendor and asked us to make some changes to it. We were so disgusted with the quality that we decided to recreate his crossing jacket from scratch. Then it dawned on us that the average person might not even notice some of the details that we notice because we've been doing this for so long. To the untrained eye, these two crossing jackets might look the same, but click here to take a closer look and compare the details.